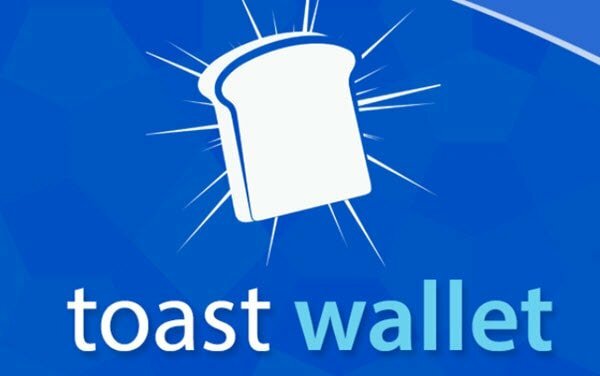 Toast Wallet Review – Best Ripple Wallet? XRP is the native currency of the Ripple blockchain ledger, which was created by the Ripple company. Ripple aims through its technologies to make the process of sending funds overseas much easier and more affordable. The company offers a variety of products and solutions to banks and payment providers, XRP being just one of its many developments. Currently, XRP is ranked third among cryptocurrencies according to market cap value, which is currently worth $13,417,056,410 USD. XRP can be bought and sold on a wide list of cryptocurrency exchanges, but before you start buying XRP, you should have a secure wallet for storing them. Before deciding to get an XRP wallet and making transactions with the coin, you should be aware of an important aspect. Unlike other cryptocurrency wallets, Ripple wallets require you to have 20 XRP to reserve your wallet address. The sum is used to keep the wallet open and activate your XRP on the Ripple Ledger. So if you transfer 200 XRP to your Ripple wallet, 20 XRP will go to booking the wallet address, meaning that you can transact with 180 XRP. This is why it’s not advisable to store your XRP in multiple wallets; you end up losing portions of your amount just for keeping the wallets booked. Toast Wallet is a free open source wallet built especially for Ripple XRP. The wallet, a development of StarStone Limited, was first conceived to be only for mobile users, but now it is available for more devices. The wallet is compatible with iOS, Android, Windows, Mac, and Linux. This cross-platform Ripple wallet has a simple to use and intuitive interface, and a high level of security, claiming they do not direct any information or passwords to their servers. Another positive aspect regarding this wallet is that it is non-hosted, which means you are the only entity which holds the private keys of the wallet. This makes things more secure as important information is less exposed to hacking attempts. Toast Wallet’s features make it an attractive and popular wallet for XRP holders. We’d suggest looking into Toast Wallet to hold XRP, as its compatibility and security are top-notch in this space. The company also has an extensive FAQ section you can read should you find yourself wondering about the wallet’s use. Many sites have also pointed out that Toast Wallet’s customer service team has been helpful and quick in answering questions. Toast Wallet has gone a long way in establishing itself as the premier XRP wallet and we’d recommend it for anyone looking for a safe and easy storage solution for your Ripple. Still, there are other wallets should you want an alternative. Below are other options. Exapry is a web wallet which enables you to store your XRP and make transactions with them using a comprehensible application. To enhance its security, Exarpy will provide to each account a PIN security measure. When you will want to log into your wallet, you will be required to disconnect from the internet. Afterward, you’ll be redirected to the login page and asked to provide the PIN code along with the verification code. The wallet then lets you know that it’s safe to reconnect again to the internet. However, the wallet charges a fee of 0.0025 XRP for each transaction which also incorporated the fees charged by the Ripple network. Exarpy doesn’t quite have the range that Toast Wallet does, but it could be an intriguing choice. Edge Wallet is an open source wallet available for mobile devices that use the iOS and Android operating systems. Edge encrypts accounts locally on the user’s device. It will never have access to any username or password of its clients. The account is automatically backed up as a fail-safe measure in the eventuality that your device gets broken or stolen. The wallet user is the only one that holds the master private key to their account. The wallet also offers additional security options with which the user can upgrade his account. These include Password Recovery and a One-Touch 2-factor authentication system. The server infrastructure of Edge is decentralized, letting users interact directly with the distributed ledgers of the crypto they use. This means that even if the Edge server experiences downtime, the wallet keeps on working. Ledger Nano S is a cold storage wallet which has a design similar to that of a USB drive that features an OLED interface. This type of wallet is considered to be the safest as it stores your private keys offline, making them practically immune to any kind of online attacks. The device is compatible with any computer, laptop or mobile device that has a USB port, letting you send and receive XRPs in a secure and hassle-free manner. This wallet also features a separate display screen that lets you view the seed key which is created after each transaction is executed. The private keys are kept in a separate place in the device as it has integrated a strongly encrypted firmware into its dual-chip design. Upon plugging in the device into the PC, you will be required to provide a 4-digit PIN code, a measure that adds extra security to this wallet. Unlike other wallets, Ledger has no limit to the amount of XRP coins the user wants to store. The wallet also supports other various types of cryptocurrency. This is the vital advantage that Ledger has; that it can store other coins. So if you want your XRP to be in the same wallet as your BTC or ETH, this is where you want to go. Toast Wallet and the others above are made for XRP only, so are limited in what they can hold for your entire portfolio. For XRP-only wallets, Toast appears to be the best choice available. We like Toast for its user experience, security features and focus on Ripple support. However, if you hold multiple coins that you want to store in one wallet, the Ledger Nano S is probably where you want to turn.